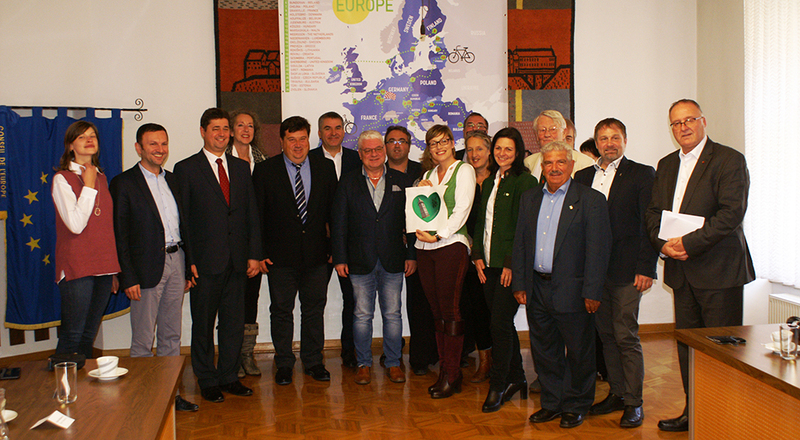 The Austrian town and member of Douzelage, Judenburg took the initiative to invite the mayors of the Douzelage partner towns to attend a round table conference on several topics. The mayors and vice-mayors of Bad Kötzting, Köszeg, Marsaskala, Oxelösund, Skofja Loka, Siret, Tryavna and ofcourse Judenburg were present. Also town representatives of Chojna and Sherborne attended the meeting, as well as the president of Douzelage. Several topics were discussed: the environmental policy of Judenburg, the city marketing and the 2019 Summer Festival. The initiative of Meerssen to create a network of cycling routes “Via Douzelage” was also discussed, as was the idea to involve specialists of municipal organisations and NGO’s more in the Douzelage meetings. Judenburg was the first to take this initiative, hopefully many more will follow. See the coverage of the meeting by Kanal 3, the regional television channel of Styria, by clicking here.